Rare end unit in Canyon Club! 3 Beds 3 Baths 1,856 Sq. ft.
Rare townhome style end unit in Canyon Club! Spacious floorplan with vaulted ceilings. Beautiful wood burning fireplace. Large windows & skylight with great natural light. Stainless steel appliances-new microwave, stove/range/oven, refrigerator, newer dishwasher. Charming kitchen with tile counters, exposed brick, & breakfast nook. Large bedrooms with walk-in closets. Newer carpet & Newer paint. Main floor bedroom with walk-in closet could be great optional study/den. Washer/dryer included. Private fenced patio area with flagstone pavers. Carport right off patio area. Great community amenities with pool, hot tub, clubhouse, fitness center, outdoor area. 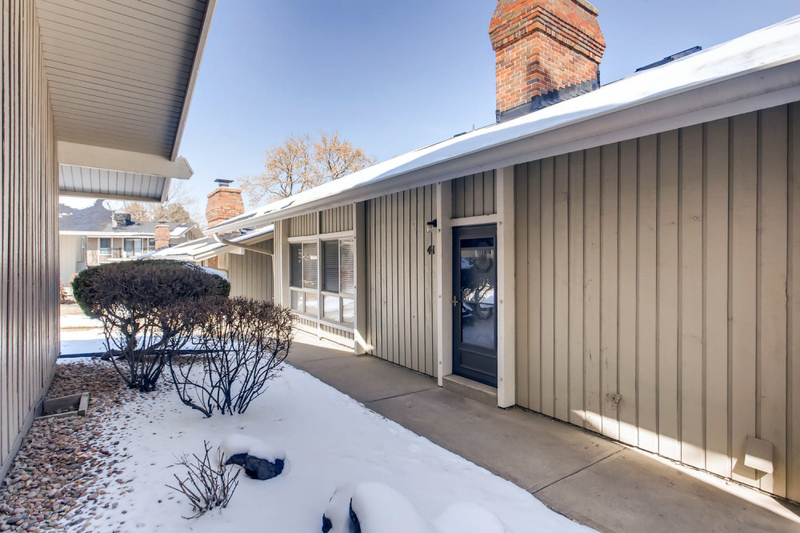 Awesome location with easy access to downtown, DTC, mountains, or anywhere else you want to go. Absolutely move-in ready!